During the Fall season of 2015, Laura began rowing for PLU. Her last varsity race was at the Charlie Brown Regatta in Portland, Oregon. In total, PLU walked away with three wins from this regatta. She continued as a member of the team throughout the Spring of 2016 as a team photographer, but could no longer actively row due to sports related injuries. For more information on the team and upcoming races, visit PLU's athletics page. Laura has been the President of the Scandinavian Club at Pacific Lutheran University since the Spring of 2017. She will continue serving as President of the club until her graduation date in May 2019. More information about the club PLU's Scandinavian history and roots can be found here. 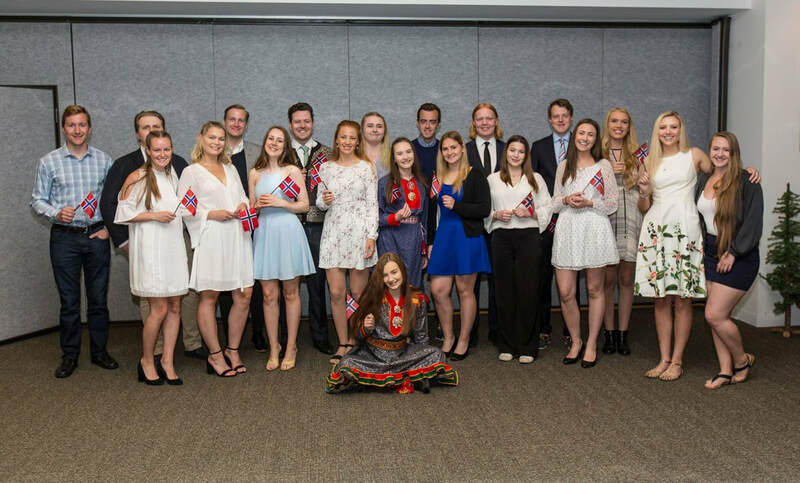 Some of the members of ANSA and Scandinavian Club together for Norway's 17th of May celebration at Pacific Lutheran University. Later we departed for the parade in Ballard, which is the second largest parade for the holiday in the world! Oslo, Norway comes first.